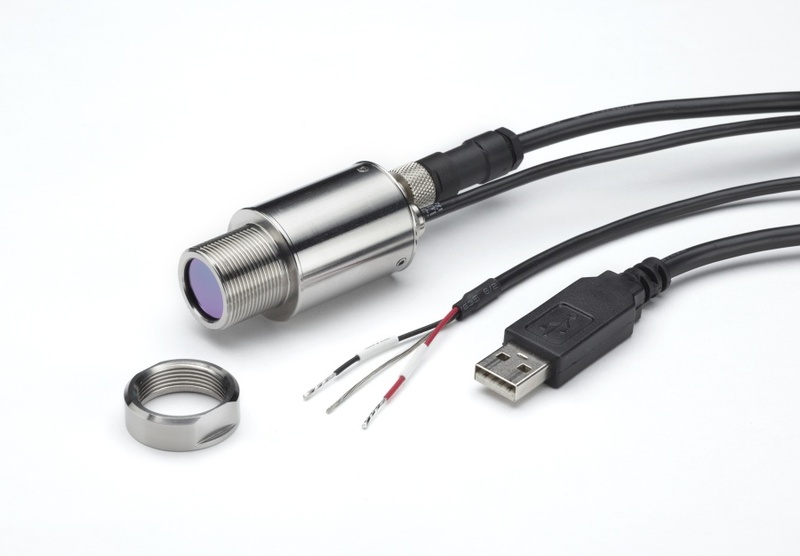 The new PyroUSB series of configurable infrared temperature sensors is now available! All models have a 2-wire, loop-powered 4-20 mA output for industrial process temperature monitoring, and a removable USB cable for configuration and benchtop temperature measurement. – All-new 5 µm models for measuring the surface temperature of glass from 50°C to 2000°C with minimal effect from reflections. – The sensor body housing is now significantly shorter at only 61 mm including cable glands. It can be installed in much smaller spaces than before. 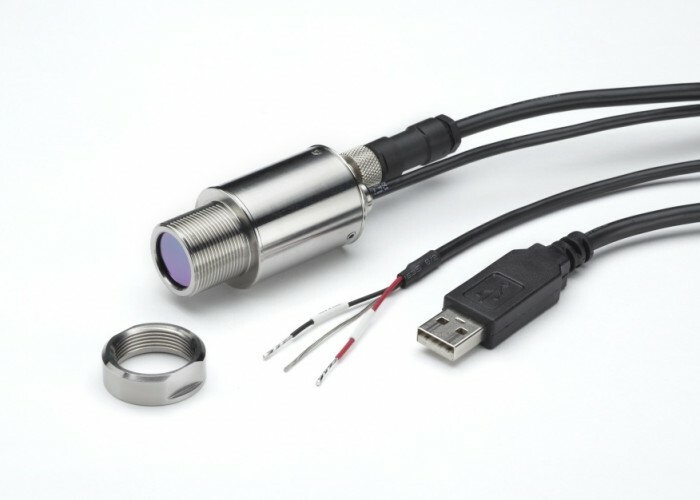 – General-purpose (8-14 µm) models with 15:1 optics now have 30:1 optics at no extra cost; this provides a more precise and well-defined measurement spot at any given distance. – USB communications now use the Modbus protocol – you may now use any Modbus software to configure the sensor, instead of the supplied Calex software, if you prefer. – Sensors are now supplied with the simple, touch-friendly CalexConfig software. Alternatively, the new multi-channel software, CalexSoft 2, is now available. In most cases the new PyroUSB can be installed easily as a direct replacement for the original one. The mounting thread dimensions are the same as the original sensor, most specifications are the same, and all existing accessories are compatible. Cooled models are available for use where the ambient temperature is above 70°C. The new PyroUSB is available now. To find out where to purchase the sensor in your region, please contact us.